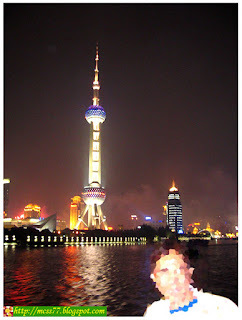 After a sumptuous fine Chinese set-meal dinner at the Yang Guang Hotel, we then headed to the Bund's southern end ferry port for a one-hour cruise on the Huangpo River. 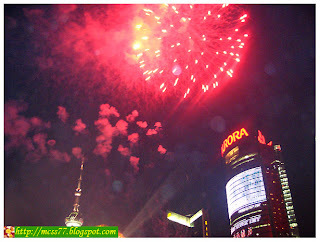 We headed off on time; the ship sails off from the dock on the Bund as soon as we heard the loud sound of a big horn. 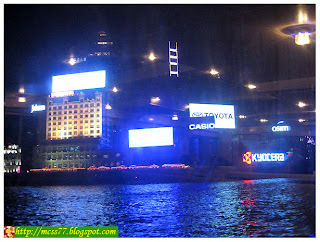 We enjoyed an open panoramic views on both sides of the river, the buildings in different architectural styles on the west bank, the glittering modern skyscrapers on the east bank, the bridges, the docks and the ships cruising one after another on the river. 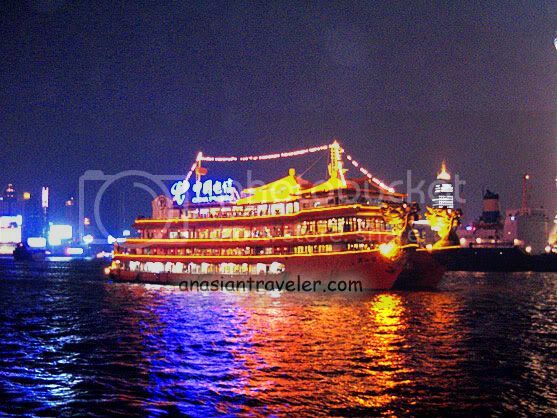 Visitors going on cruises down the Huangpo River can admire the scenes both inside and outside the ships. 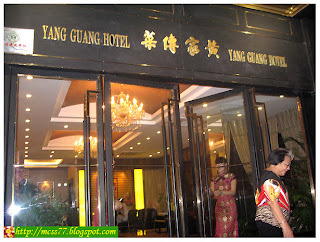 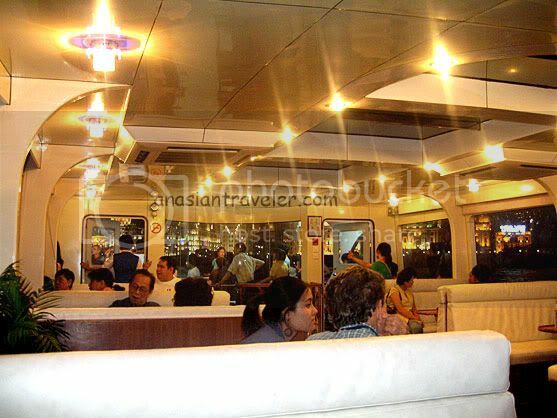 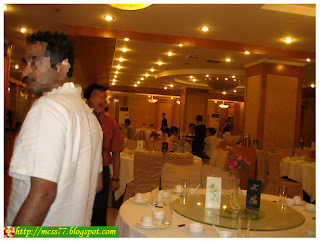 The air-conditioned interior has stylish white couches with tables and large glass windows for viewing. 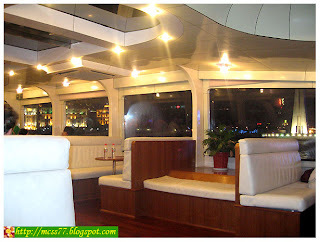 There's a door that opens to outdoor seating on the observation deck. 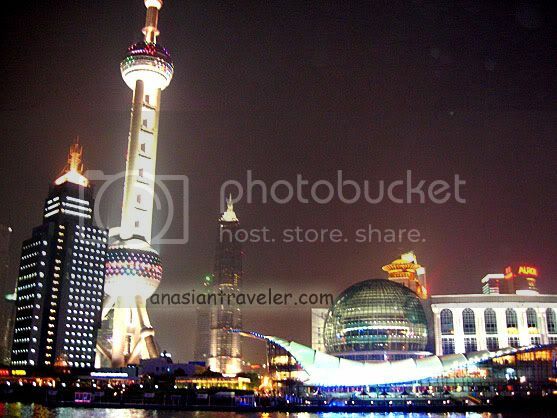 On one side, one may see the glittering lofty Oriental TV Tower and the Shanghai International Convention Center. 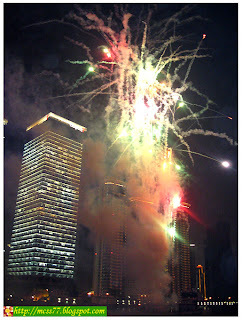 As the ship heads north, we were treated to a long string of spectacular fireworks display. 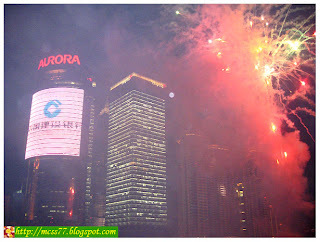 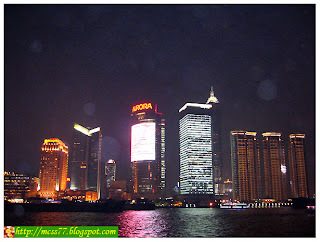 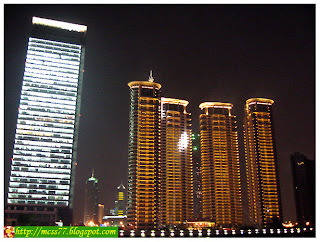 I would say evening is the best time for a cruise on the Huangpu River as numerous sparkling neon lights can be seen.